To help avoid situations that may cause personal injury or equipment damage when using Load Cells, Proving Rings, Force Gauges and other types of instruments to which forces are applied, this post was created. Our goal is to help anyone making force measurements, be safe and keep their equipment functioning properly. These are common mistakes and there are several more not covered in this post. 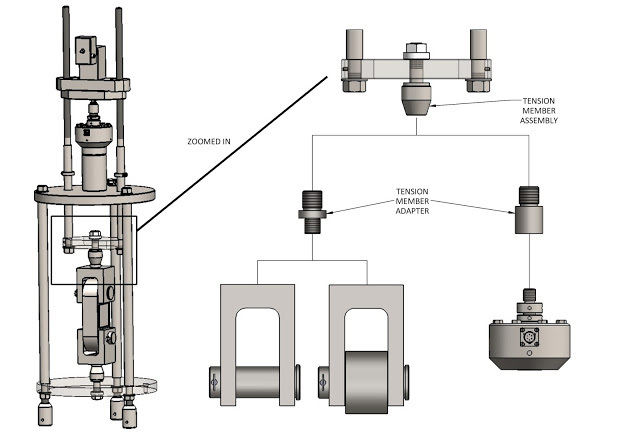 In the future, we hope to continue this series of posts for both force and torque measurement safety tips. 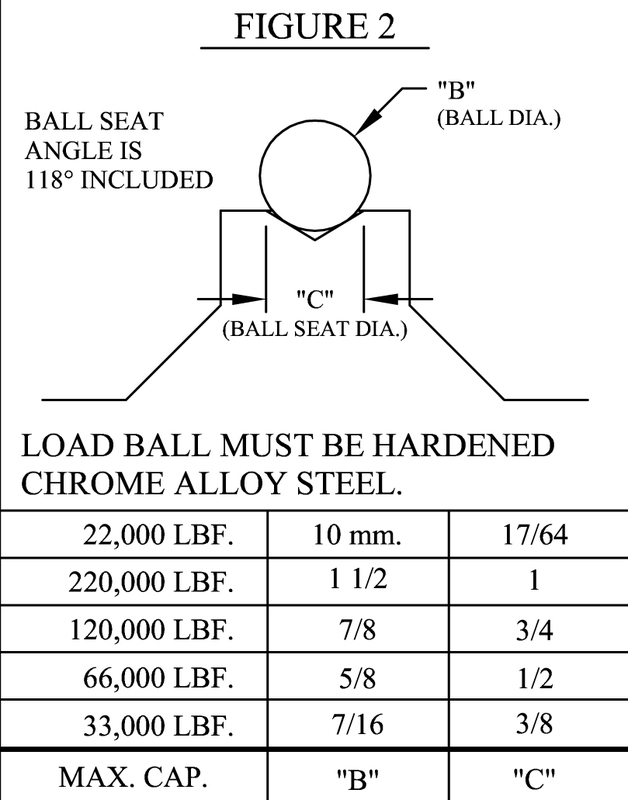 When loading thru a steel ball, the instrument should have a conical ball seat of the recommended size (see figure 2 below), for the size of ball being used and the opposing surface should have a similar ball seat. 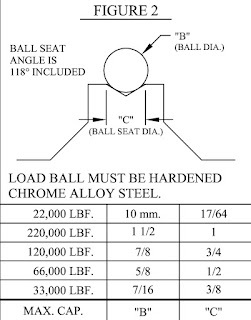 Alternately, a soft steel pad of sufficient size and thickness may be used in place of a ball seat in the opposite surface for capacities of 200,000 lbs and less. The force must be applied axially within one degree. 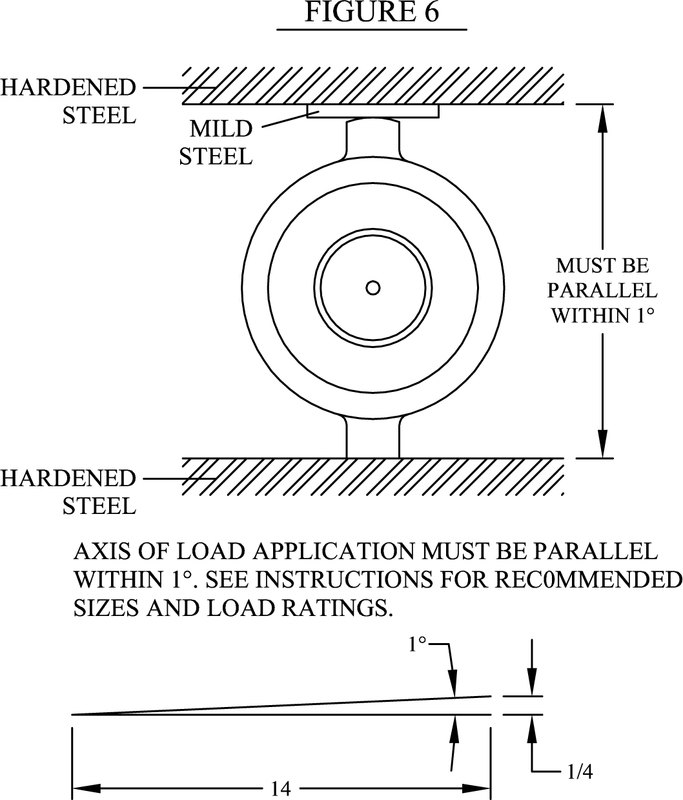 The bottom boss of the load cell or other instrument must bear against a flat hardened steel surface, and if possible, should be restrained. 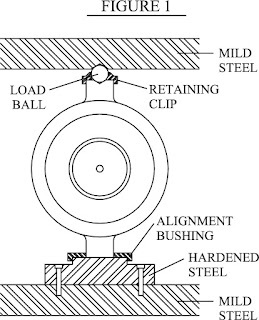 See figure 1 above. Do not load between unstable surfaces. Under load, the instrument could be spewed from the machine with tremendous force. 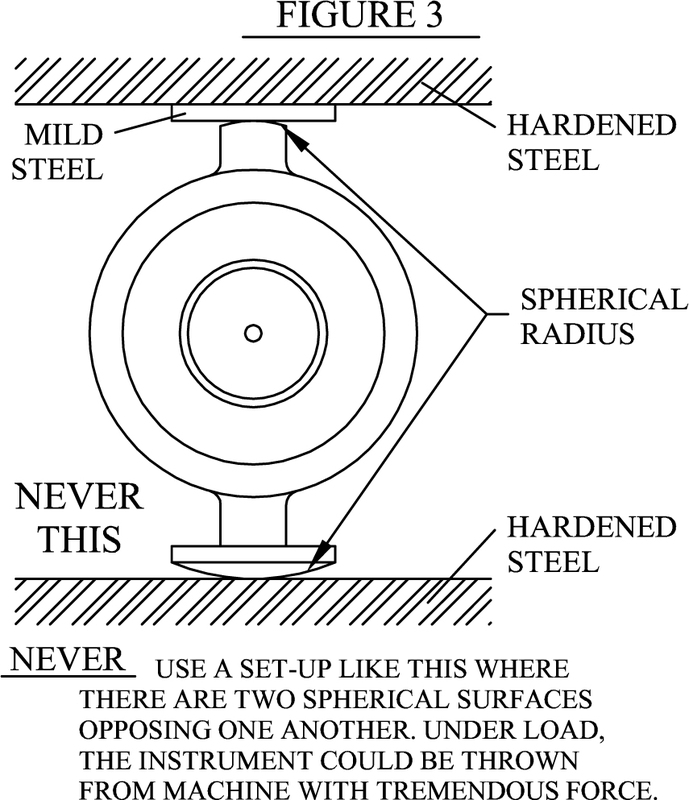 Never use a set-up where there are two spherical surfaces opposing another without making the appropriate adapters to contain the instrument. 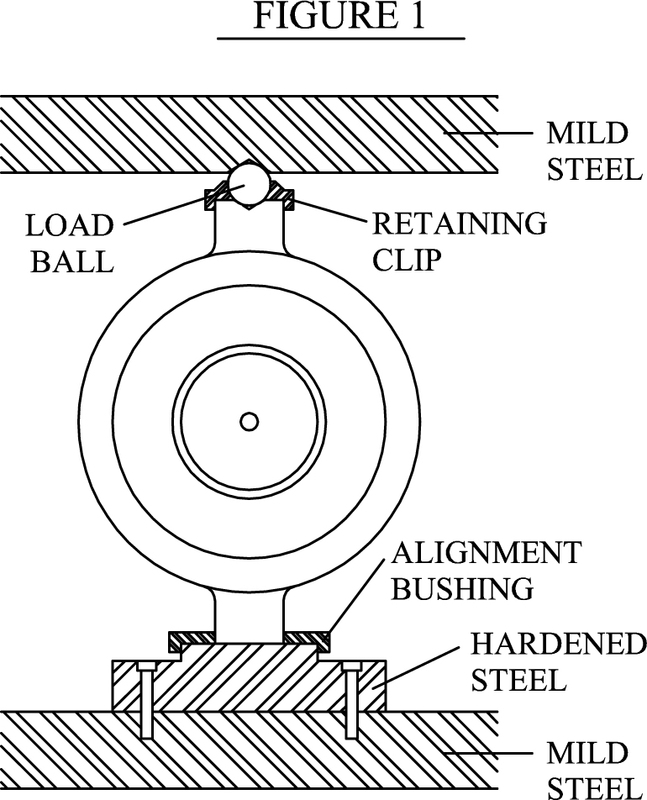 Morehouse has developed special adapters for this type of loading. Without the appropriate adapters the instrument could be thrown from the machine with tremendous force. See figure 3 above for an example of what not to do. 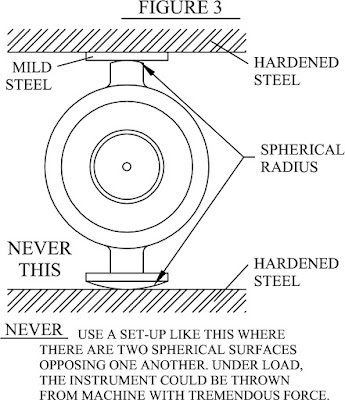 When using tension member assemblies having mating spherical surfaces, be certain that they are properly installed. See figure 5. 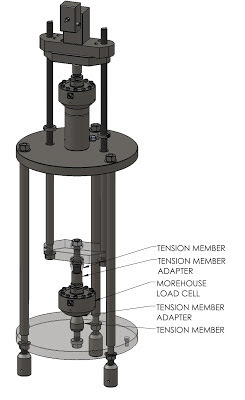 Morehouse Quick Change Tension members (pictured below) are designed to help eliminate eccentric loads, resulting in a more accurate and safer force application. Do not load between surfaces that exceed one degree deviation from parallel. See figure 6 below. 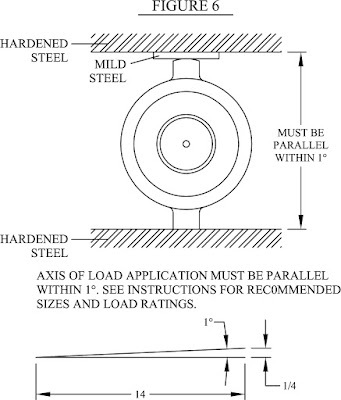 MOST IMPORTANT...Any adapter or accessory you may design, make or purchase for use with a calibrating or force measuring instrument must be of proper design and made from steel of the proper strength to withstand the forces to which it is subjected. It is most important that adapters and accessories be test loaded under safe conditions prior to actual use with an instrument. Equipment should not be used beyond its maximum rated capacity. 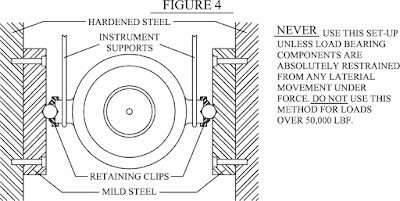 Failure to use the proper strength material may result in serious injury or death. Read and understand all instructions and precautions applicable to the use of the instrument and/or machines being used to apply the force. What happens when you overshoot a test point?